Malpighi was born on March 10, 1628, in Crevalcore, Italy. Little is known about his youth. He attended the University of Bologna and earned doctorates in both medicine and philosophy in 1653. Upon graduation, he began teaching at Bologna and subsequently devoted himself to anatomical investigations, to describing what he observed under his microscope, and to inferring relationships between form and function. In 1656 Malpighi was invited to teach theoretical medicine at the University of Pisa, where he began to question prevailing medical teachings including the theory that blood was changed into flesh at the outer edge of the body. He also advocated experimental methods to investigate problems in anatomy, physiology, and medicine. Three years later, Malpighi returned to Bologna and focused on microscopic research. In a letter published in 1661, he described the network of capillary blood vessels that links the veins and arteries. He also discovered the alveoli (air sacs) of the lungs. These significant achievements provoked jealousy among his colleagues, and in 1662 Malpighi left the hostile atmosphere for a post at the University of Messina, in Sicily. There he identified the taste buds and described for the first time many microscopic structures, including those of the brain, optic nerve, blood, and fat reservoirs. In 1667 Malpighi returned again to Bologna, where he practiced medicine and continued to scrutinize body tissues under the microscope. He observed minute substructures within the liver, brain, spleen, kidneys, bone, and skin. He incorrectly concluded that all organs are organized into glandular sub components, and that the glandular mixing of body fluids was the main function of organs. Malpighi later investigated the microscopic structures and properties of insect larvae, chick embryos, and plants. He recognized some correspondence between plant and animal anatomy. His thesis on plant anatomy included a remarkable inference that green plants manufacture their own food. In 1669 Malpighi was named an honorary member of the Royal Society in London, and all of his work was thereafter published in the society’s Philosophical Transactions. In Malpighi’s later years, opposition to his unorthodox views heightened. In 1684, opponents burned his villa and ruined his equipment, books, and papers. Despite this opposition, Pope Innocent XII invited him to serve as his personal physician in 1691 in recognition of his accomplishments. 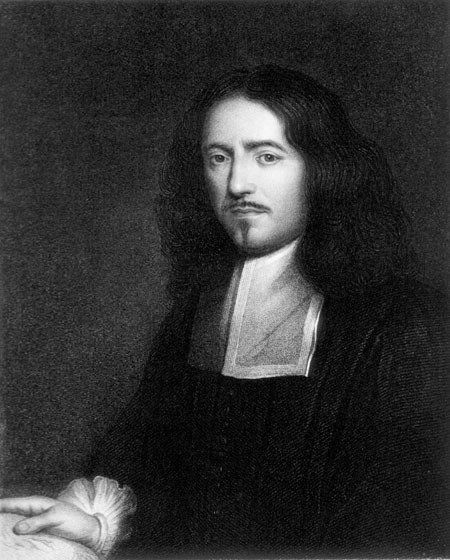 Malpighi died in Rome on November 30, 1694. Malpighi’s extensive work revolutionized the understanding of microscopic anatomy, which advanced the study of human physiology. He is considered to be the founder of histology, the study of tissue structure and organization, and the father of descriptive embryology and plant anatomy. Malpighi’s discoveries of lung structure and of the capillary system completed the understanding of how blood circulates through the body. In 1628, English physiologist WILLIAM HARVEY proposed his hypothesis that blood is pumped by the heart and flows in a circular path through the arteries and veins. Malpighi’s findings both confirmed Harvey’s claim and extended the theory of blood circulation. Malpighi’s work toppled the already crumbling dominance of Greek and Roman teachings in Renaissance medical theory. Malpighi’s predecessors—HARVEY; ANDREAS VESALIUS, and PARACELSUS—began the attack on the authority of Roman physician GALEN. Malpighi’s rejection of traditional medical teachings encouraged his contemporaries and followers to question established beliefs. Malpighi’s masterful technique with the microscope advanced its role in the biological sciences. After Malpighi, microscopic investigation was a prerequisite to progress in physiology, embryology, and medicine.